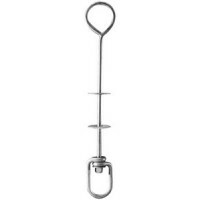 1/2" diameter hot-dipped galvanized rod with 4" long swivel, 2 galvanized washers and nylon care loc.. 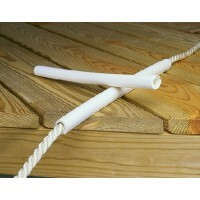 Prevent wear and tear on mooring lines. Fits through chocks, will not split or rot in the sun. Made ..
Abrasion-resistant rubber. Slides through chocks to protect your lines. Bag: 2Size: 1/2" - 5/8".. Allows for easy adjustment regardless of the application. 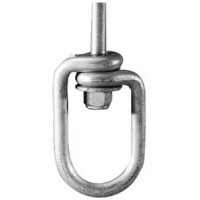 Ideal for anchor lines, power cords, and p..